The head of the Russian Orthodox Church, Patriarch Kirill, has appealed to a number of international religious and political leaders, asking them to not let Kiev enforce its recent initiative that might see Orthodox religious communities diminished in Ukraine. The pieces of legislation, which the Ukrainian parliament is set to vote on Thursday, "threaten the constitutional rights of millions of Ukrainian believers, may cause a wave of violence and new seizures of churches, and escalate intercommunal conflict in Ukraine," the Patriarch warned, as cited by the Moscow Patriarchy press service. If adopted, the bills might also "further complicate the implementation of the Minsk peace agreements" to solve the Ukrainian conflict, the head of the Russian Orthodox Church added, appealing to the leaders of the so-called Normandy Four group, which oversaw the peace plan. 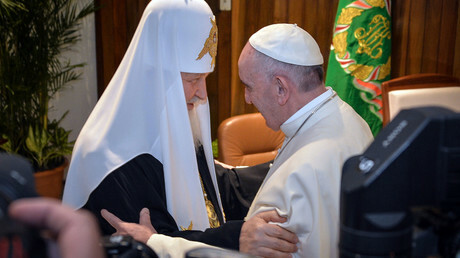 Along with leaders of Ukraine, Russia, Germany and France, the Patriarch also asked the UN Secretary General, the leader of the Catholic Church and President of the World Council of Churches (WCC) to intervene over the bills the Russian Orthodox Church considers "discriminatory." The bills in question include one which suggests introducing "a special status" for religious organizations, the leadership of which is based in an "aggressor state." Currently, Kiev only sees Russia as such a state. The second bill suggests changes to Ukraine’s current law on freedom of worship. According to the authors of the new bills, Ukrainian churches that are under the religious supervision of the Russian Orthodox Church may threaten Ukraine's national interests, sovereignty and territorial integrity. 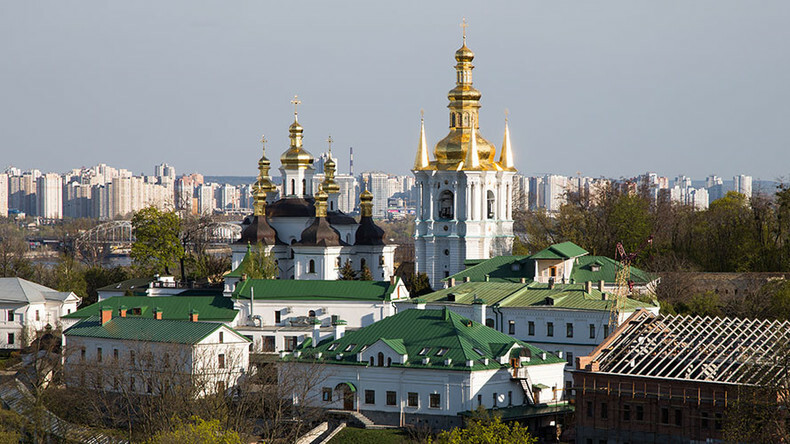 To prevent such alleged interference, a special status is to be introduced, which would enforce new registration rules and provide Kiev with the right to oversee missionaries invited by the church. It also provides the Kiev authorities with the right to ban such churches in Ukraine. The changes, if adopted, will "imminently provoke new seizures of churches and clashes among believers of various confessions," as well as "provide the government of a secular state with the broadest powers to control the inner life of religious communities," the Russian Orthodox Church said. Another bill suggests altering the process of the "change of governance" for religious organizations in Ukraine. Between 2014 and 2016, far-right radical groups forcefully seized at least 40 churches of the Ukrainian Orthodox Church, Patriarch Kirill said, warning that the new bill will see such actions become legitimate. The bills, aimed in particular at the Ukrainian Orthodox Church, which is one of the country's largest confessions represented in its every region, are an attempt to draw the church into a political conflict in Ukraine, the Moscow Patriarchy added, saying that the bills contradict Ukraine's constitution and other laws. If implemented, the bills "will legislate a discriminatory practice of law toward the majority of the Orthodox population of Ukraine," the statement added. Such a practice is unheard of in modern-day Europe, Patriarch Kirill warned. "Should state officials be given the rights to forcefully eliminate religious communities, this will become an open and brutal interference into believers' private life. In Orthodox Christianity, personal faith is largely realized within a community, a church. 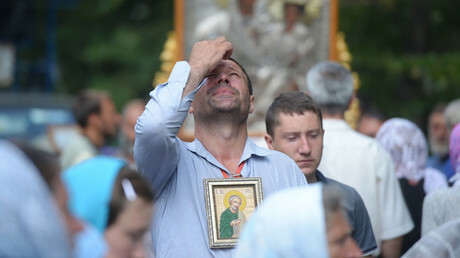 When the government interferes in its life, it violates religious freedoms," priest Andrey Zuevsky told RT. "These draft laws in the first place target the Ukrainian Orthodox Church of the Moscow Patriarchy. It is absolutely obvious, with those behind the bills not even trying to cover it up," Metropolitan Hilarion, of the Russian Orthodox Church, told RT. "The Ukrainian Orthodox Church will be put under such submission to Kiev authorities that didn't exist even in the Soviet times" under communist rule, he added, saying that a "full-scale war" against this church is being waged in Ukraine. A number of religious organizations in Ukraine have also condemned the initiatives, with the Ukrainian Orthodox Church saying a petition against the bills which "violate both Ukrainian and international laws" has garnered over 300,000 signatures.